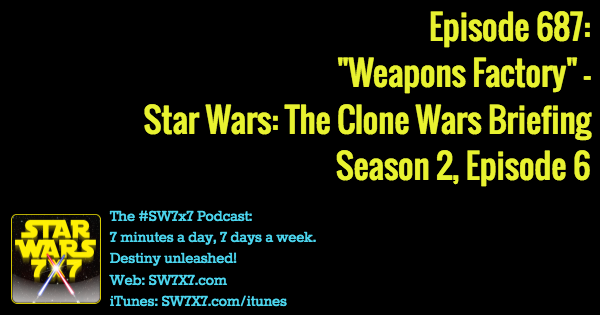 Here’s the full episode rundown, but from a canon perspective, what you need to know is: There was a new droid factory under construction, and they blew it up. Also, the Geonosians are developing some new super tank that can withstand attacks by Republic artillery, but don’t do well when bridges beneath them blow up and send them falling thousands of meters to the canyon floor below. But we’ve got additional commentary and clips from the episode to share on the podcast, including Anakin borrowing a line from Jar Jar Binks and The Phantom Menace. Today’s question: Who explains the difference between the Death Star and Starkiller Base to the Resistance leadership?